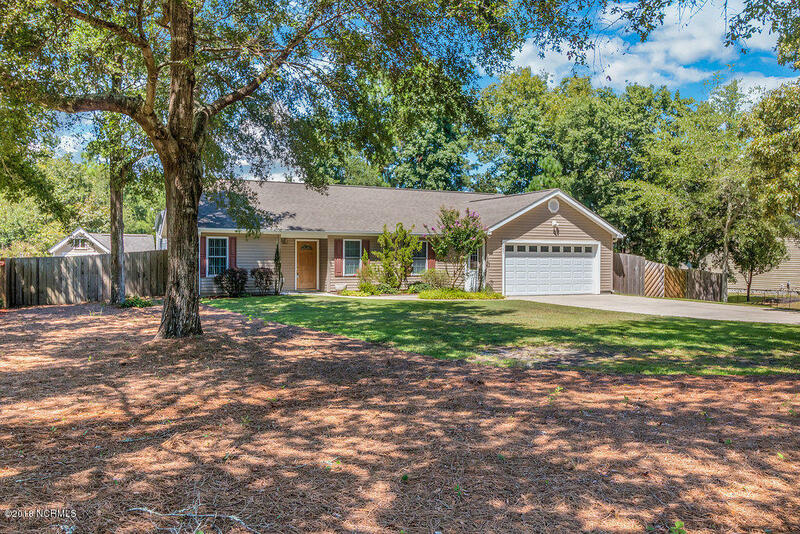 You must see this 3 bedroom 2 bath gem tucked away in the beautiful Chadwick Shores Community which is located close to MCB Camp Lejeune Sneads Ferry, Stone Bay/MARSOC gates as well as the beach & shopping. You will fall in love with this well kept home as you step inside the foyer to the lovely laminate flooring in the main living areas. The living room is located to the right with the kitchen dining area across. Check out the cabinets. The large master bedroom is sure to please with its beautiful engineered wood flooring. The master bath has tiled flooring & offers additional privacy with bath/toilet area separate from the double vanity area. The other 2 bedrooms & bath are on the opposite end. Privacy fenced back yard with deck and storage shed.